How can I create an automated report or list? Automated reports are the perfect solution if you do not have the time to export your reports or mentions lists manually. These reports are ideal for agencies to keep clients up to date but any business that wants to save time being aware of what is said about their brand can benefit from it. All available reports can be automated to be generated as emails. The three main categories are: Listening Dashboards, Mention Lists and Social Reports. 3. 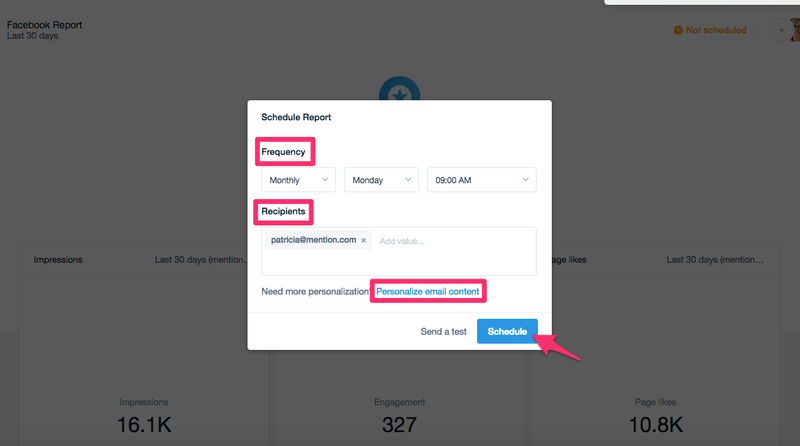 You can then pick your preferred frequency option daily, weekly or monthly, add up to 20 recipients and personalize the content of your email if you wish to.